Silky and rich butternut squash soup is a great start to Thanksgiving dinner. I figured I’d start with a nice warm and silky soup to get the series going. It’s a light way to start dinner and it’s got all your fall flavors in here. The soup base is made from the butternut squash puree that I posted on Friday, although you can use canned too, but homemade is so easy and fresh! This soup comes together very easily. It’s literally cooking the root vegetables, adding chicken stock and the butternut squash puree, blending it all together with an immersion blender and letting it simmer for 30 minutes. Done and done. It’s such an easy way to kick off your Thanksgiving meal and not to mention so flavorful and comforting. I’m sure your guests will love this. Top it with some creamy goat cheese and you’ve got yourself a great starter! 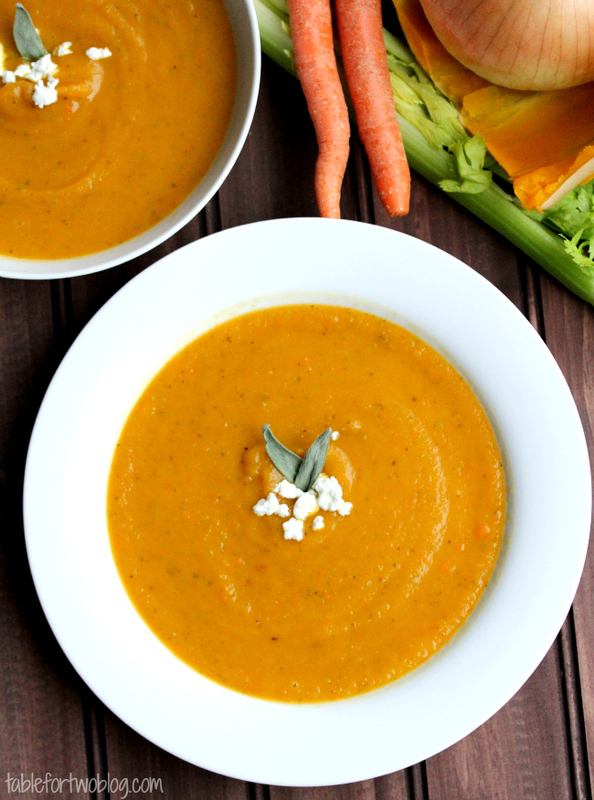 Silky and rich, this butternut squash soup is the perfect Fall soup! In a large stockpot, heat up 3 tbsp. of olive oil over medium high heat and sauté onion, carrots, and celery until they're soft and tender, about 10 minutes. You want them to be really soft and tender so the immersion blender will be able to blend it easily. When vegetables are soft, throw in the chopped sage and stir around. Add in the chicken stock and the butternut squash puree. Using an immersion blender, blend everything together until the mixture is smooth and no chunks remain. Salt and pepper, to taste. Let mixture simmer for 25-30 minutes then serve. Crumble goat cheese on top prior to serving, if desired. Store in airtight container in the refrigerator for up to 7 days. For paleo: omit goat cheese on top. 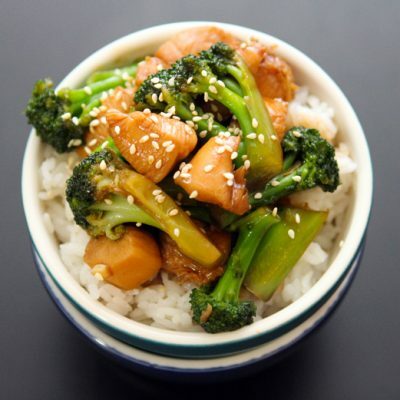 One of my favorite fall meals! Thanksgiving is my favorite holiday of the year! Even though we always make the same sides for the day of Thanksgiving, we like to mix up HOW we make them once in a while. Or, we will have more sides throughout the fall. I’m so excited to see your 10 days! It’s the perfect countdown to a great day! This would be a fantastic way to start any Thanksgiving meal – love the color too, so pretty! Oh I love you for this series! haha We’re hosting Thanksgiving dinner at our house this year and I haven’t truly started planning the menu yet! I can’t wait to see what you have in store for us! :D Love the soup..great easy starter! I love the goat cheese idea!!! That probably tastes amazing….goat cheese is just amazing with anything. Looking forward to seeing the rest of your Thanksgiving recipes!!! 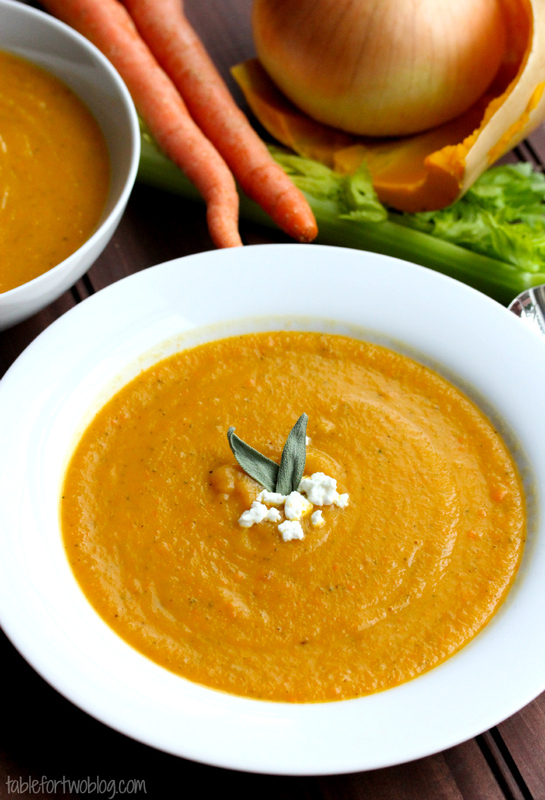 Mmm, I love butternut squash soup so much and this looks perfect! I make this EVERY YEAR!! With a little bacon on top. Because that makes the world a better place. Your Soup look perfect and so Delicious Julie! 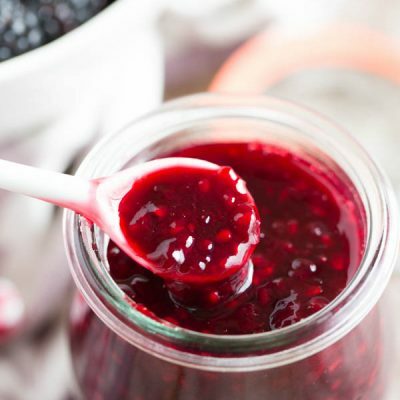 I love the rich color, and it’s great recipe as well as fantastic pics! Eeeeeeeek. I LOVE butternut squash soup. Is there anything more comforting during the holidays? (Yes and no, but dangit I really want this soup). I looooove all soups + this one looks just delicious. YUM! I take any excuse to use my immerson blender. Love the goat cheese here! Love it :) Great idea for a starter on the big T-day :) Very pretty! Such a beautiful colour and it looks silky smooth – the perfect way to start a meal! I love those little flecks in your soup! This looks absolutely beautiful. Such vibrant colors! I could eat this soup every day during fall. I am so glad soup season has officially arrived. like, seriously. This is gorgeous in all the ways! How delicious! This is one of my Fall favorites – always smells so good and comforting! I love butternut squash soup and the fresh sage is a must! 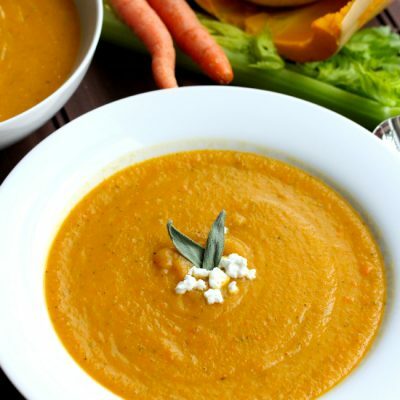 we love butternut squash soup…and my hubby loves goat cheese so he will be super excited about that yummy addition…can’t wait to try – and see more of Thanksgiving recipes you will be sharing!!! totally appreciate the hard work!